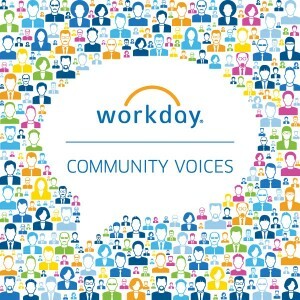 Welcome to Workday Community Voices, featuring insights and perspectives from Workday customers and partners. 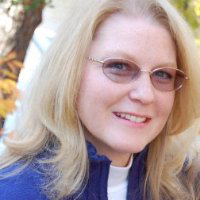 For today’s post we talked to Karen Sykes, vice president, HR Services at Towne Park, a national provider of hospitality staffing services and parking solutions. Sykes joined Towne Park in 2012 as director of HRIS and led its deployment of Workday Human Capital Management. Earlier this year she was tapped to lead HR Services, which combines Towne Park’s HRIS, Payroll, and HR Service Center functions. You work in human resources for a company whose business is staffing services. What do you think is the most important function of HR? Workforce planning. It requires an understanding of where the business is headed, the headcount and competencies required to get there, and current staffing levels and capabilities. With this knowledge, we can identify talent gaps and create strategies and tactics to ensure we have the right people and skills to propel our growth. Just as important, we are the keepers of the culture. In a service industry, it’s all about the people. Our people have to feel valued and developed, and part of something larger than themselves. It’s HR’s job to make sure our managers know how to support that culture. How about five years from now—what HR competencies will be required? HR will be storytellers of the data. All of us will have to be comfortable with technology, know how to access and interpret data, and be able to communicate it in a way that influences decisions. People development will continue to be crucial, knowing how to develop the right skills in the right people. Compliance also will remain important; however HR’s role will shift from painful manual tracking to understanding and communicating the rules, developing our managers, and monitoring and controlling data that can be easily tracked and reported. How do you see analytics impacting workforce decisions both today and in the near future? It is so exciting to see HR move along the data continuum from metrics (reporting what happened in the past), to predictive analytics (what is likely to happen), to recommendations (how you might solve the problem based on actions/results of others). I think this is particularly powerful when it comes to retention. We now can measure turnover and then predict who might be ready for a change. Throughout your career you’ve led deployments of both on-premise software systems and more recently, Workday HCM in the cloud. How has this deployment impacted your everyday life? Everything is faster and mobile. My team and I are all much more self-sufficient in our jobs, with information at our fingertips. We no longer have to request a report, wait for it, and then analyze it—we now get alerts when things are off course and can drill into data for greater understanding about the issue right when we need it. Real-time data at our fingertips has made it possible to identify who needs additional development, who is ready for the next challenge, who (as well as what skills) we should invest in, and whether or not those investments have been effective. It’s also so convenient to work on my iPad at home or on vacation without coming into the office on the weekends or lugging a heavy laptop. Because it’s in the cloud, we no longer have to wait for weeks, months, or years to upgrade to new features and functionality. It’s so easy to turn on new features and take advantage of all the cool new stuff as soon as it’s available, without needing an army of people to get it done. So glad those days are behind us! Talent calibration in Workday! No, just kidding. I only work when I can’t convince my family to go boating in the summer and skiing in the winter. I’ve also been known to share wine flights or go to a wine tasting with my friends.